Doris Mae (Crosby) Bauman, the daughter of James and Hazel (Beadle) Crosby, was born on March 27, 1935, in Martin County, Minnesota. She was raised and educated in Woolstock. On October 19, 1951, Doris was united in marriage with Donald Bauman, in Eagle Grove. The couple made their home on a farm near Woolstock, where Donald worked as a hired hand, before they moved to town in 1954. Doris worked at the Woolstock Inn and Weaver’s Construction in the scale house. 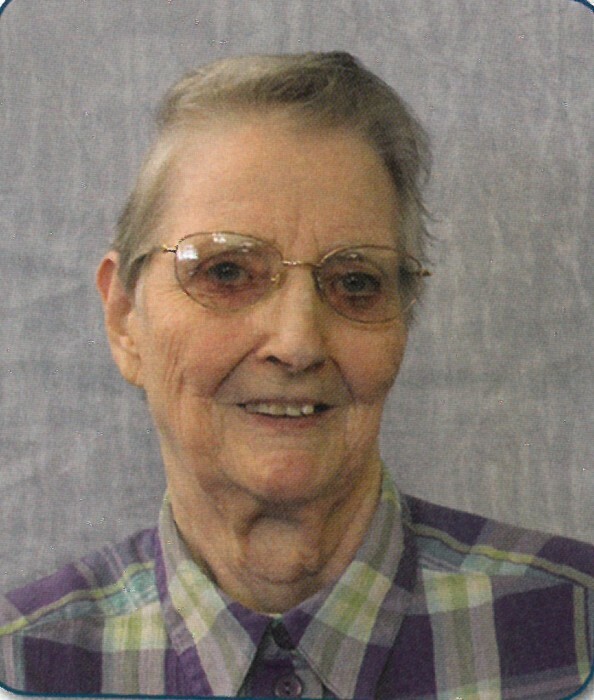 Doris was a member of Sacred Heart Catholic Church in Eagle Grove. She enjoyed cooking, gardening, shopping and spending time with her grandchildren. Doris passed away on Thursday, August 16, 2018, at Clarion Wellness and Rehabilitation in Clarion, at the age of 83 years. She was preceded in death by her parents; husband, Don in 2001; brother, Bob Crosby and brothers-in-law, Darwin Hill, Nicholas (Marcella) Bauman, Roger (DeLores) Bauman and Gene Berg. Survivors include her son, Leonard Bauman (Gretta) of Clarion; grandchildren, Katie Bauman of Jefferson City, MO, Joel Bauman of Fort Dodge and Alyssa Zediker (Craig) of Sergeant Bluff; great-grandchildren, Kole and Kaylee Herzberg; sister, Delores “Dee” Hill of Stanhope and sisters-in-law, Sharon Crosby of Texas and Marian Berg of Fort Dodge; several nieces and nephews. Mass of Christian Burial will be held on Saturday, August 18, 2018, at 10:30 a.m. at Sacred Heart Catholic Church in Eagle Grove, with Father Jerry Blake officiating. Visitation is one hour prior to service time at the church. Burial will be in Calvary Cemetery, Eagle Grove.